Renderbox PC are a pair of builders who create beautiful and powerful made-to-order PCs. They needed a design for their PC manufacturing WooCommerce store. 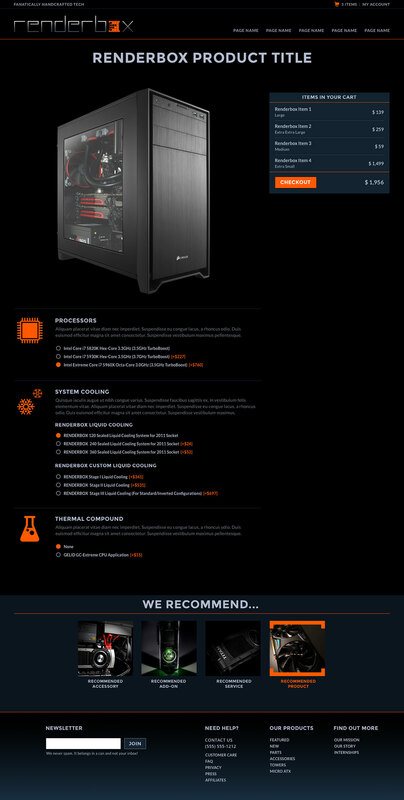 My role was to create a web design to showcase the power and fast elegance of their custom-built PCs.